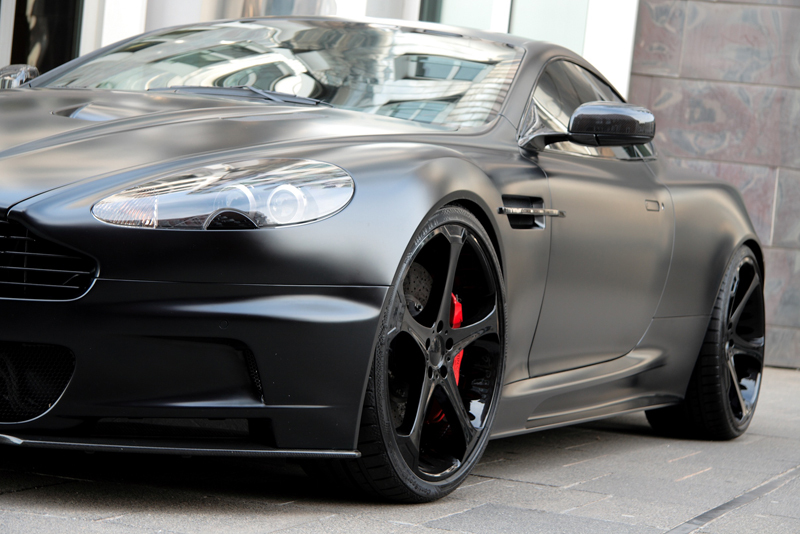 The Aston Martin DBS is one of those cars that looks good from any angle and in any color. If for some reason you’ve gone mental and think the modern British design of the DBS is unattractive, a press of the throttle is all you need to fall in love as the baritone V-12 roars to life. Besides, who cares what it looks like when you have a V-12 like that? Lately Anderson Germany has been going through a phase, introducing a number of “Black Edition” cars. But, with the way their cars look, it’s pretty hard to argue against the new editions. The new Aston Martin DBS is the latest to receive the treatment, as Anderson has introduced the Superior Black Edition package. 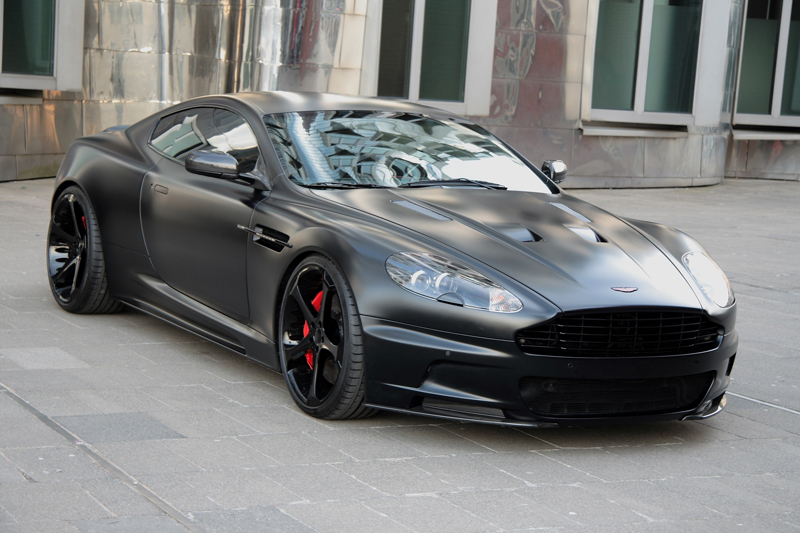 The DBS is painted in a dark black semi-gloss paint, while the grilles, window frames, tailgate bar, logos, and side air intakes are painted in a contrasting glossy black. A touch of carbon fiber was added to the side mirrors, and the windows were, of course, tinted black. The black color scheme is carried over to the wheels as well. Four 21-inch, five-spoke gloss black wheels were fitted with 255 front and 295 rear tires for added grip. Peeking out from behind the spokes are bright red calipers that stand out from the black paint. If the black paint scheme wasn’t menacing enough, a sinister V-12 is awaiting you. The 6.0-liter V-12 has that same Aston Martin exhaust note that will make you melt, but this time, the volume has been turned up to 11. A new exhaust system with special manifolds, catalytic converter replacement pipes, and three-stage electronically controlled vent dampers, sheds 46.2 lbs. and unleashed the fury of the V-12. A new software tune sends power output to 565 horses. Inside there’s a bit more contrast in the black design. 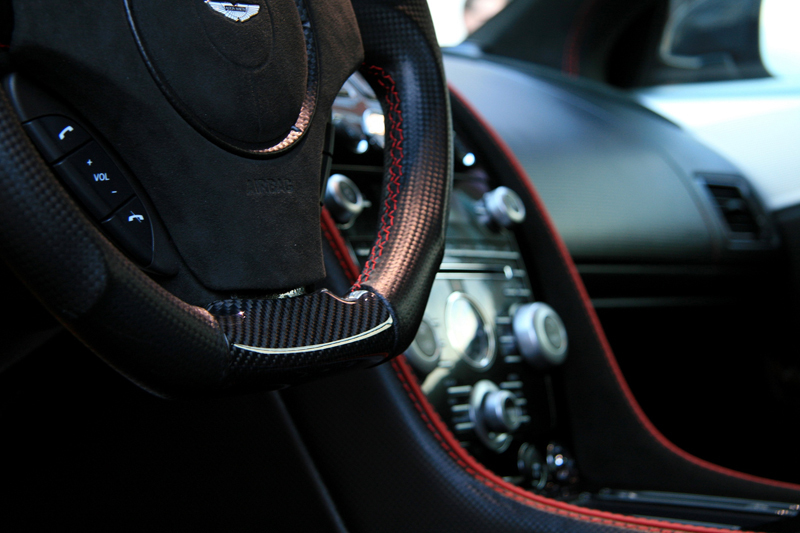 The ashtrays, cup holders, vents, door handles, door sills, steering wheel, handbrake lever, and paddle shifters are covered in sport carbon fiber. 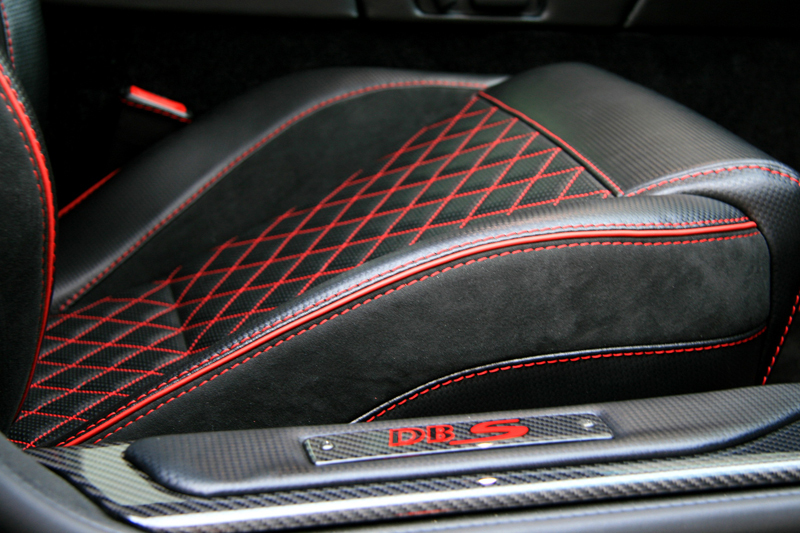 While the seats wear a combination of black leather and alcantara, they feature distinct red-diamond stitching and piping. Anderson Germany also upgraded the sound system, although most enthusiasts will keep the V-12 soundtrack playing instead. 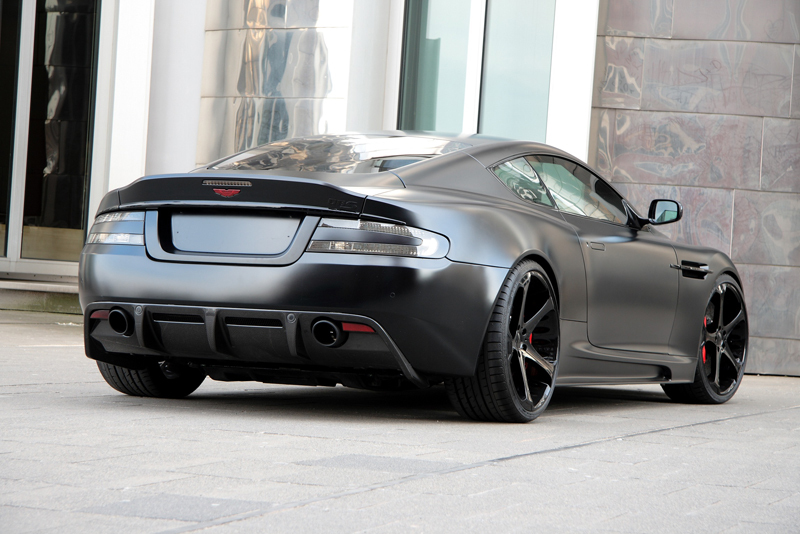 The Anderson Germany Aston Martin DBS Superior Black Edition is currently available for the British supercar. Pricing has not been released. -New exhaust system with special manifolds, catalytic converter replacement, and adjustable vent dampers; 46.2 lbs. lighter. 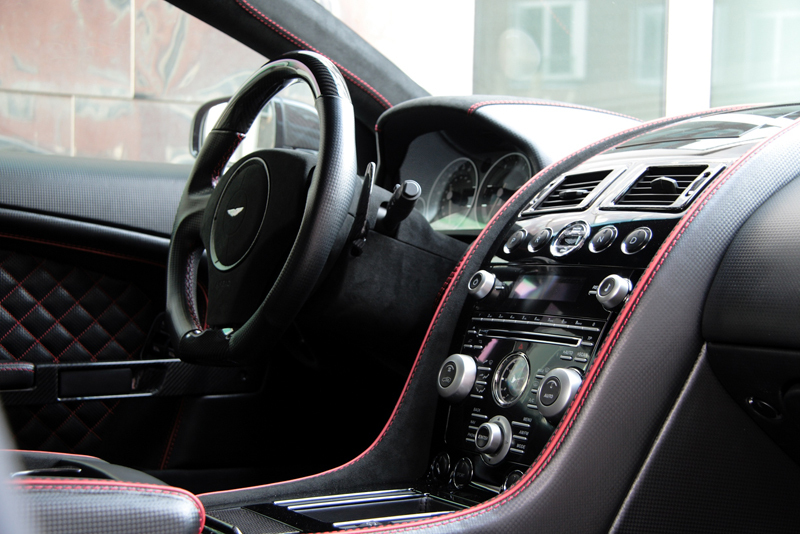 -Carbon fiber vents, cup holders, door handles, ashtrays, door sills, steering wheel, handbrake lever, and shifter paddles. 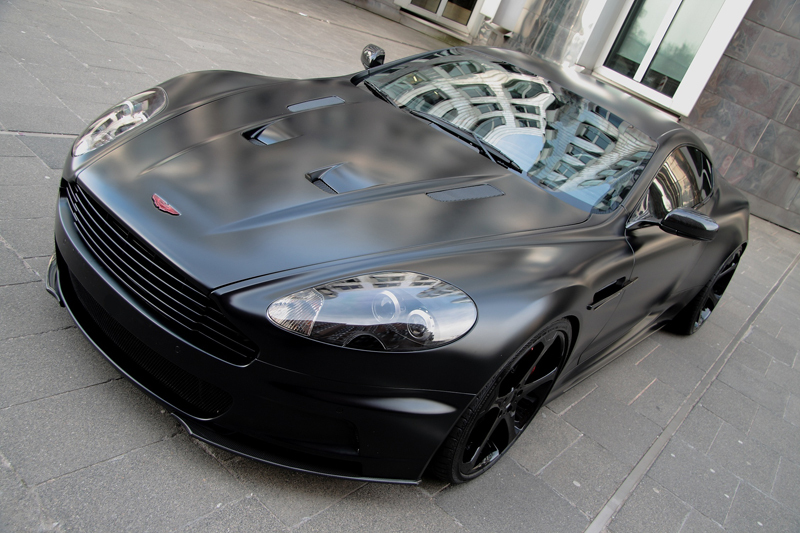 Does the Aston Martin DBS look good in semi-gloss black paint? Leave a comment and let us know!